Corey Allen and Johanna Yaun grew up on the same street in Newburgh and have lots of respect for one another. They usually agree on most local issues, but today they find themselves on opposite sides of the AME Zion Church debate. The Rev. 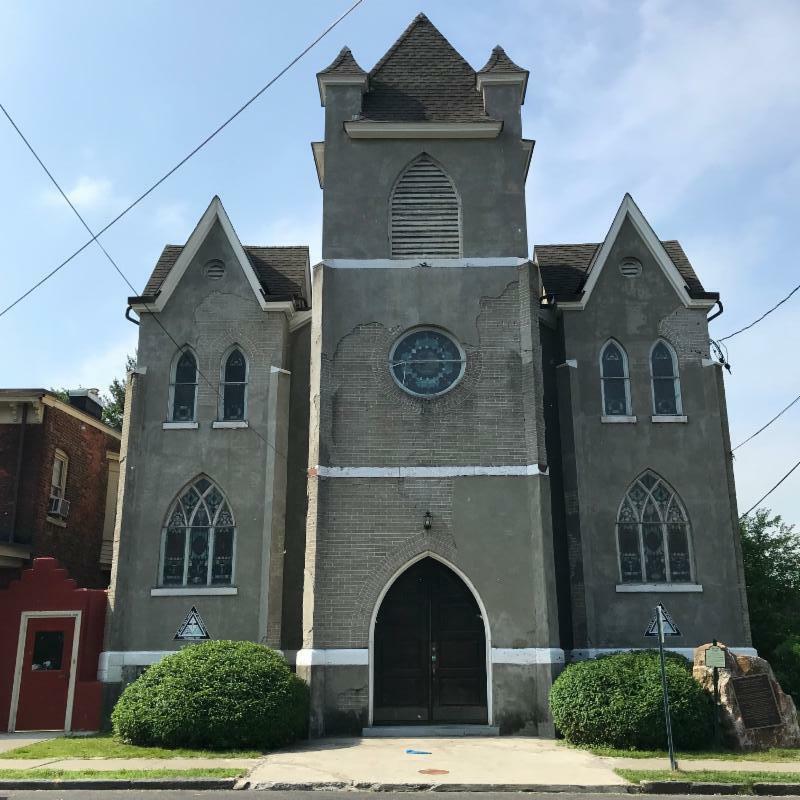 Milton Stubbs and AME Zion leaders have begun the process of getting permission to demolish most of the existing 113-year-old church at 109 Washington Street in the East End historic district. In its place would rise a new complex on four combined lots that would include a new street-level church, apartments and space for community events and meetings, according to the plan. In addition to replacing the church, the project would bring revenue to AME Zion. It includes retaining the distinctive tripartite façade and its arched stained-glass windows, and the stained-wood ceilings over the sanctuary and basement fellowship hall. The plans are currently under review by Newburgh’s Architectural Review Commission. Corey Allen, 41, is a lifelong Newburgh resident, a 1995 graduate of Newburgh Free Academy and a Neighborhood Revitalization Coordinator for Habitat for Humanity in the city. Allen is a former member of the First United Methodist Church on Liberty Street, and sees parallels. “My church was forced to close down in 2018 for the same reasons,” he says. “The AME Zion Church was founded on the principals of anti-racist worship of Christ,” Allen says. “In my opinion, the only way to save this congregation and the church from becoming another museum is to let them build,” Allen says. Johanna Yaun, 35, is a lifelong Newburgh resident, a 2002 graduate of Burke Catholic High School and is the Orange County Historian. “Although it’s sad to see the congregation of First Methodist displaced from their church, it’s now being restored,” Yaun says. “So even if the AME Zion church leaders were to demolish the church in favor of a housing complex with a chapel for the dwindling and elderly members, what will happen when those congregates are gone?” she asks. “If the historic church remains, it will have new life and purpose as the next generation sees fit,” she says. On March 14, 2019 the Town of Fishkill Planning Board read the draft of their report on potential environmental and cultural impacts of development on the property known as the Fishkill Supply Depot. The last ten minutes of their report can be viewed on YouTube below. Letters pertaining to this property will only be considered by the board if they are received before April 1st. The final decision regarding the fate of the "Fishkill Supply Depot" will be announced on April 11th at Town Hall 807 Rt. 52 in Fishkill at 7PM. This week the office received inquiries from several concerned citizens who wanted to know what happened to the historic butter factory commemorative plaque that has been in place since 1956. 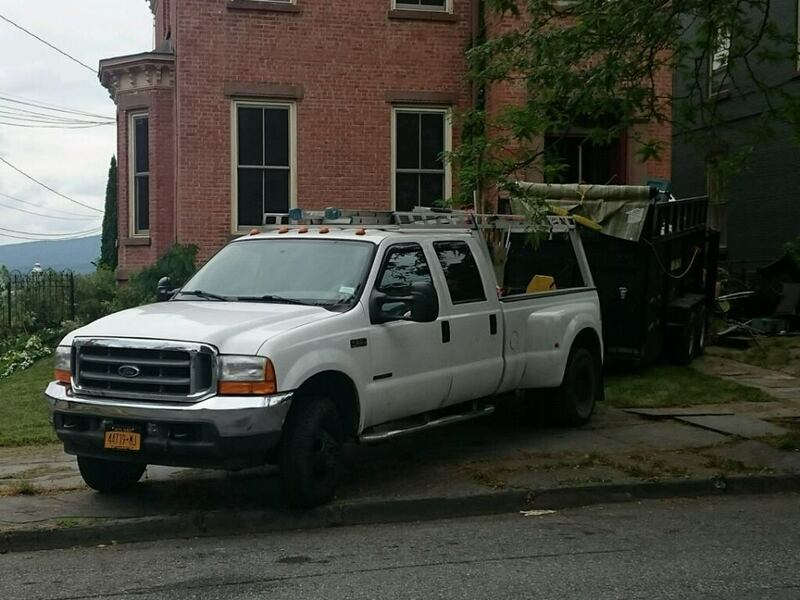 The stone is located at 6 Gouge Street, Campbell Hall, NY 10916. I went to ask the neighbors and to take a look and it is indeed missing. 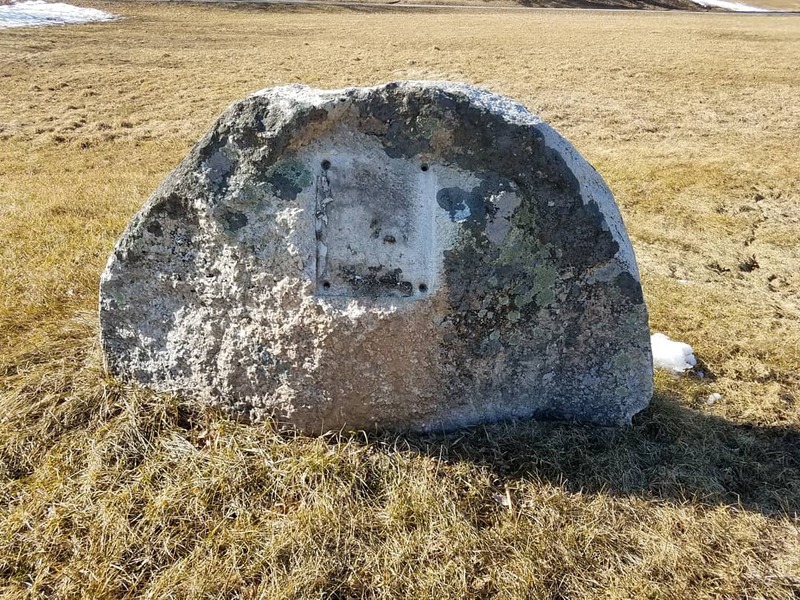 If you have any tips about what may have happened to this monument please let us know. The following is in response to 'Historic AME Zion Church in Newburgh may be demolished' which appeared in the Times Herald Record on May 28, 2018. In 2020 Newburgh will celebrate the 150th anniversary of Frederick Douglass's jubilee march along Washington Street. The leaders of the AME Zion Church used his appearance to mark the passing of the 15th Amendment, which granted voting rights to African American men. 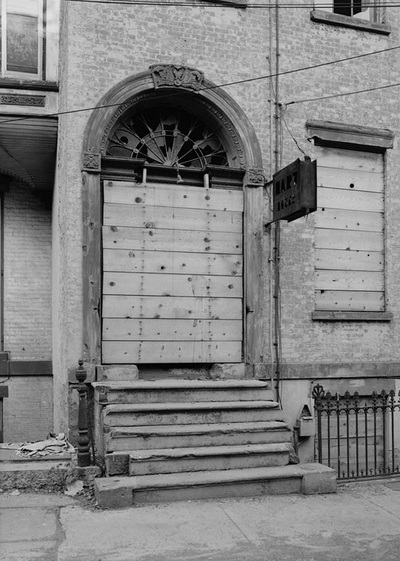 By 1870 the church had already become a symbol of liberty, nicknamed "the freedom church" thanks to its associations with the Underground Railroad. 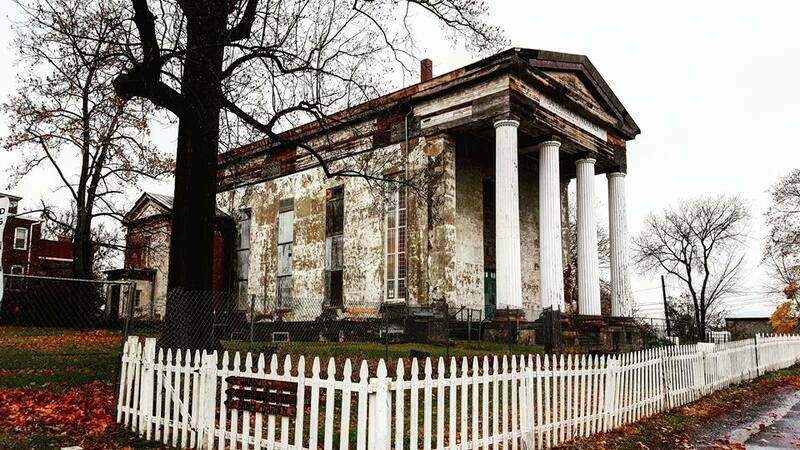 Although the 1905 structure that stands now is not the modest house of worship built by the congregation's founders, and not the same walls that reverberated the booming voice of Frederick Douglass from the pulpit that's still used today, this building is a symbol of the grand strides of the African-American community in Newburgh as they passed on the flame of civil advocacy for centuries. In an age when the American public is making an effort to remove monuments of oppression and contextualize historical symbols in our society, why are we not looking to preserve and elevate the symbols of the struggle for equality? This church would have been an incredible source of pride and progress at a time when "separate but equal" was the law of the land. As a monument, this building combats offensive cultural symbols from the past. It doesn't put any one person on a pedestal, recognizing that true progress comes from the strength of the right to assembly. Also, it gets away from isolating one date or accomplishment, acknowledging that the struggle for equality has been sustained through generations. Everyone around Newburgh please watch this crew. 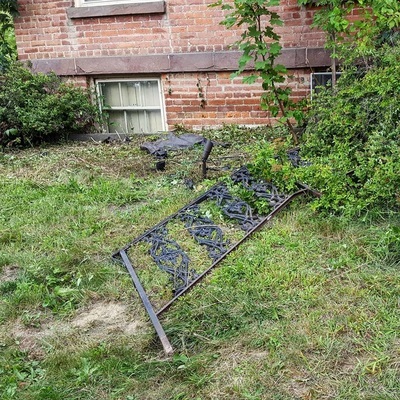 They pried a railing off of the house yesterday. Today they gave conflicting stories one guy saying that they were "clearing all debris inside and out" another guy promised that they would put the railing back on when they were done. 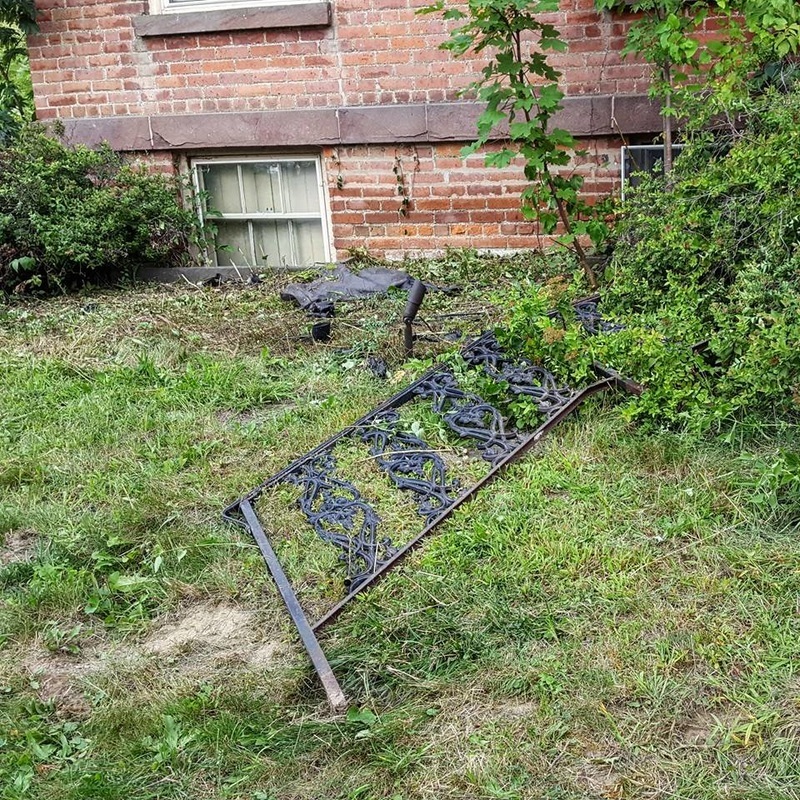 All too often these salvage crews are known for destroying or stealing architectural features in the historic district. It's unclear to me who owns the property. ​Help PROTECT & PRESERVE this Revolutionary War encampment and burial grounds. 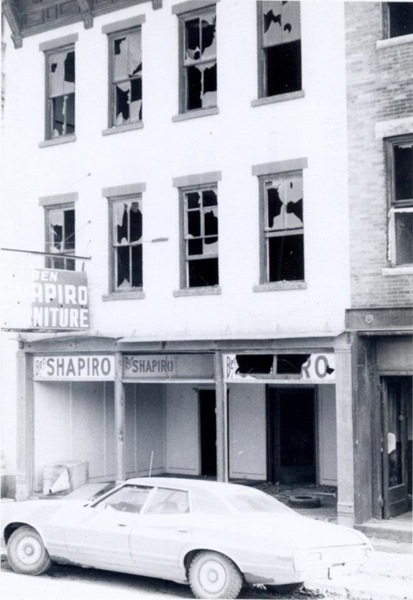 FISHKILL, July 2016 - In a matter of seven weeks, the NY State Historic Preservation Office (SHPO) changed its position on the Fishkill Supply Depot to one of foreseeing an adverse impact (through commercial development) to effectively coaching the owner on where and how to develop. 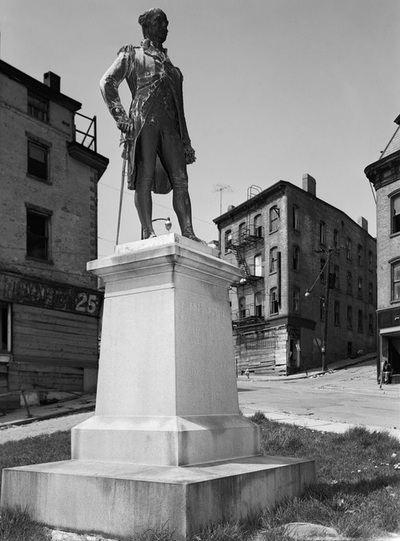 Per SHPO's own website, its mission is to "help communities identify, evaluate, preserve, and revitalize their historic, archeological, and cultural resources" and "work with governments, the public, and educational and not-for-profit organizations to raise historic preservation awareness, to instill in New Yorkers a sense of pride in the state's unique history and to encourage heritage tourism and community revitalization." By its most recent letter, SHPO has ignored its very mission and cast aside the great historic preservation work that Friends of Fishkill Supply Depot and this region's concerned citizens have performed since first halting development of the site in 2007. URGENTLY asking that you attend the upcoming Town of Fishkill Planning Board meeting, check out the agenda recently posted to Town of Fishkill's website. We need to get as many preservation minded people in attendance at this important PB meeting next Thursday 7/14/16 at 7 pm at Fishkill Town Hall. On the agenda is: Continental Commons - Special Use Permit & Site Development Plan. Continuation of project review and the project sponsor's archaeologists shall review a PowerPoint presentation". If, developer has his way it may be the last meeting. See you at this critical juncture meeting and if you can't attend, please pass this important info onto someone that can. Numbers speaks volume, lets fill the house! Declared as "the last of the important Revolutionary War sites yet to be properly explored," the Fishkill Supply Depot remains so today: a one-of-a-kind site of national importance that has never gotten its due. Located in Fishkill, New York, the Depot was a key strategic center of the American Revolution, established and visited repeatedly by George Washington. Known as the "Military nerve center of the Continental army," the Depot was one of three major encampments along with Morristown and Valley Forge. Hallowed history happened here - hundreds of the original soldiers who fought to found our nation died and were buried in unmarked graves. Central to the outcome of key battles like Saratoga, the Depot played an important role in the founding of the United States, and its significance in American history cannot be overemphasized. Yet today, the National Register Fishkill Supply Depot is under threat of commericial development. 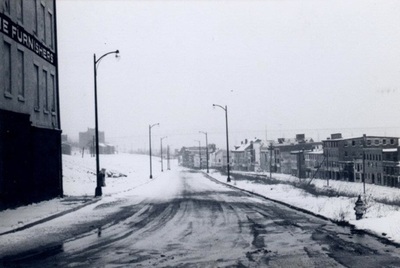 A large part of the historic site was covered by the Dutchess Mall in the early 1970s. This is where the barracks and parade grounds were located. Crossroads is a privately-owned, 10.47 arce parcel of land slated for development. It contains the soldiers burial ground, possibly the largest Continental Army burial ground in existence where over 300 soldiers lie in unmarked graves. Oasis Ministries owns this 9.93 acre parcel in the northeast corner of the depot. It is currently for sale. The Van Wyck Homestead property is owned by the Fishkill Historical Society and contains the only remaining structure of the depot. The home itself was used during the Revolutionary War by General Israel Putnam as headquarters of the Fishkill Supply Depot and encampment. Reflection, reverence and restraint from development are the responses such sacred ground calls forth. Rigorous historic preservation and a well-supported plan to share this legacy with future generations is long overdue. The opportunity has now arrived. Time is running out for preserving a priceless heritage, a key historic and archaeological site in the town of Fishkill, dating from the American Revolution. The site, the Fishkill Supply Depot, has been listed for decades in the National Register of Historic Places and consists of more than 70 acres on the East and West sides of southern Route 9. Here more than two centuries ago, thousands of Continental Army soldiers weathered the winters of 1776 to 1783 and blocked the British strategy of advancing unopposed up both sides of the Hudson to secure a line of communication from New York City to Canada. If the patriot forces had failed in this effort, it could have spelled defeat for the patriots and assured the ultimate victory of the Royalist cause in North America. At its peak, the encampment, built under orders from General George Washington was a small city which included extensive barracks and officer huts for thousands of soldiers, guard house and palisade, a prison, major hospital, artillery placements, storage buildings, an armory, blacksmith shops, stables, parade grounds, and a powder magazine which supplied all Northern Patriot forces. Today, the only remaining structure is the Van Wyck Homestead, originally a farmhouse which served as a headquarters for military operations. Reflecting the site's importance, the Fishkill Supply Depot and Encampment was placed on the "National Register for Historic Places" in 1974. But subsequently plans to make the Depot a national park and open it up to serious archaeological investigation were thwarted. Now, once more, land belonging to the encampment and supply depot, which has never been properly assessed by experts in the field of military archaeology, is being seriously threatened by a new round of commercial development on land east of the highway. As a result, the archaeological and historical record of what remains of the encampment will be further jeopardized, depriving future generations of a direct link to a remarkable past. The Fishkill Supply Depot was critical to the success of the Continental Army during the American Revolution and was central to the founding of the United States. Documents show that its importance to General Washington as an essential military facility cannot be overestimated. The Depot played a vital role in the victory of the Continental Army over British forces during the American Revolution, and is therefore listed on the National Register of Historic Places. It is a highly unusual and significant part of the historical heritage of the Town of Fishkill, of the State of New York and of the United States of America. 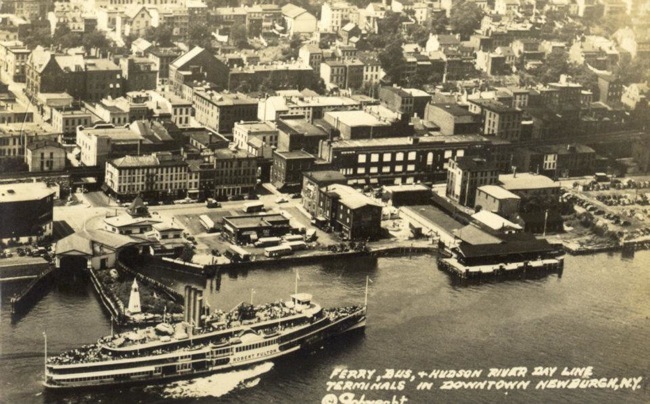 "For those of us born after the destruction of the Newburgh Waterfront, it is impossible for us fully understand the loss of something we never had to chance to experience. Looking at old photographs like the one above helps. We see a dense prosperous city, full of life. We can imagine all those chimneys puffing out smoke and families gathered around fires sharing stories. We can imagine what it was like to have a butcher, a baker, and a grocer at almost every corner who probably all knew your name and your mother’s name. It is a very stark contrast to what Newburgh has become today. 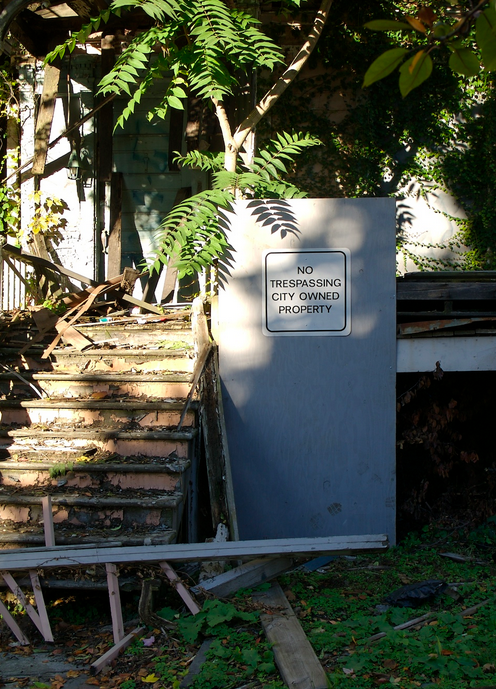 Even so, there is still enough of the city left behind to re-urbanize it and make it prosper. Newburgh historian, Mary McTamaney was kind enough to share some urban renewal statistics in a speech she gave a few years back. Looking at these numbers, Newburgh really was NYC’s 6th borough. The figures below represent what was lost during urban renewal. Storage (“warehouses and commercial structures converted to storage”): 1,868,560 cu.ft. Office Space: 871,650 cu. ft.
Other non-residential structures: 252,090 cu.ft. “This report never included residential buildings. Yet, we know that well over 50 acres of Newburgh were cleared. Entire streets like Fourth, Fifth, Barclay, Hudson, Garner, Smith and High Streets were obliterated. Looking through city directories before the destruction began can help estimate the residential loss statistics by following the geography of the built environment now gone. It is easy to count over 1,300 now missing addresses. Old directories in the library told me these sample things about Newburgh 50 years ago: Within the city limits, Newburgh then supported 5 theaters, 2 roller rinks, 20-30 apartment buildings, 15 automobile showrooms, 6 truly local banks, 30-40 barbershops and an equal number of beauty shops for women, 10bus lines, 4 bottling companies, over 50 clothing stores and over 25 clothing manufacturers, 20 drug stores, 6 appliance stores, over 70 homes renting furnished rooms, 12 furniture stores, 11 hardware stores, over 100 corner grocery stores, 5 ice cream manufacturers, 16 jewelry stores, 20 music teachers giving private lessons, 9 photographers, over 60 doctors who lived here in the city where they practiced,66 restaurants, 15 shoe stores, 20 shoe repair shops and 2 shoe shiners, 21 tailors, 6 upholsterers, 3window cleaners. 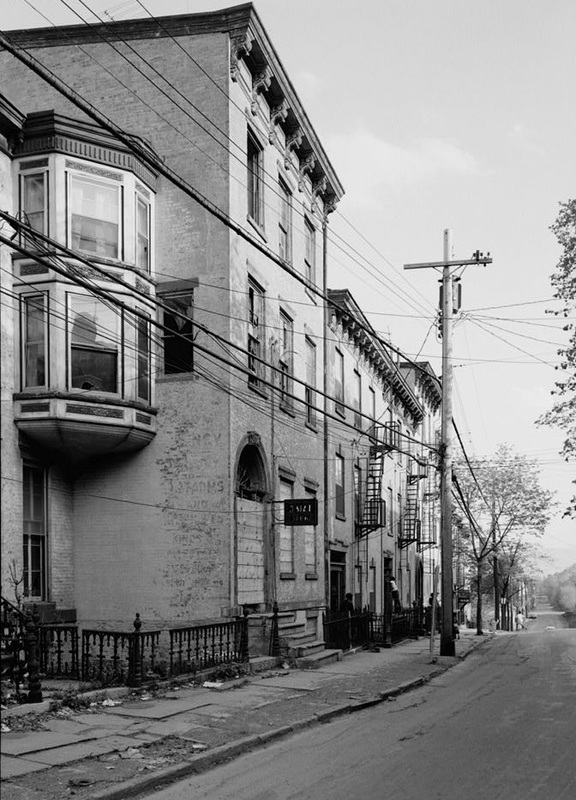 No era was more transforming to Newburgh than the half century since 1960″. ​Here’s an example of a structure that was “condemned” by the City in 1998 but it was saved and restored in 2010. 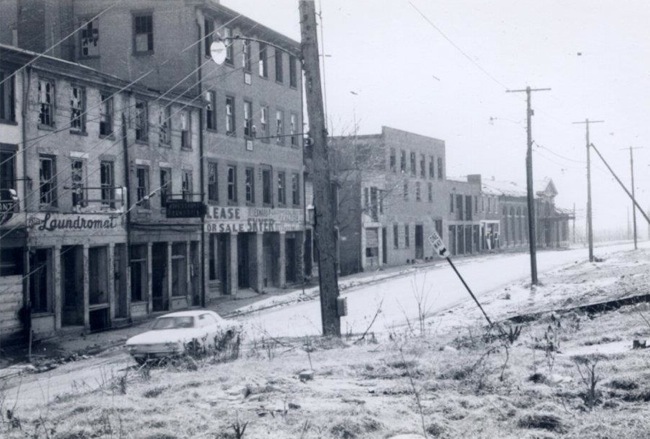 Here’s an explanation of the loss Newburgh suffered during Urban Renewal. 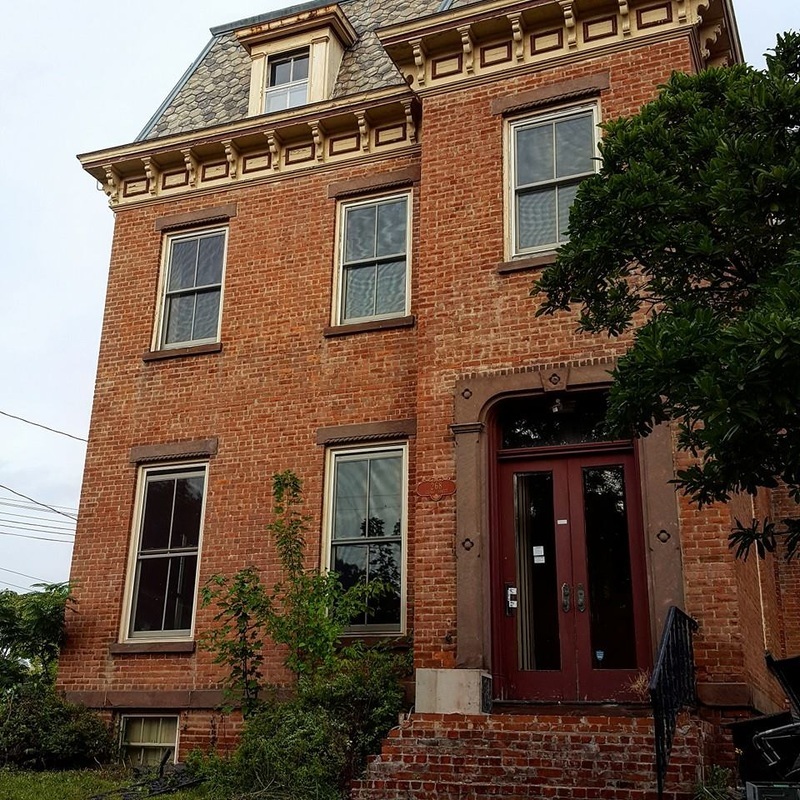 Newburgh’s historic district is New York State’s largest and contains a collection of structures which span four centuries of architectural history. In 1782-3 General Washington commanded the army from a farmhouse on the banks of the river and in 1850 it became America’s first historic site. Growing to prominence in the 1820s through river industry, the Empire State’s leading families built ornate mansions overlooking the waterfront there. In the 1840s, Andrew Jackson Downing created the first architectural collective in the American tradition by pioneering an integrated style landscape design and bringing the world’s most creative minds to the area to build their masterpieces. 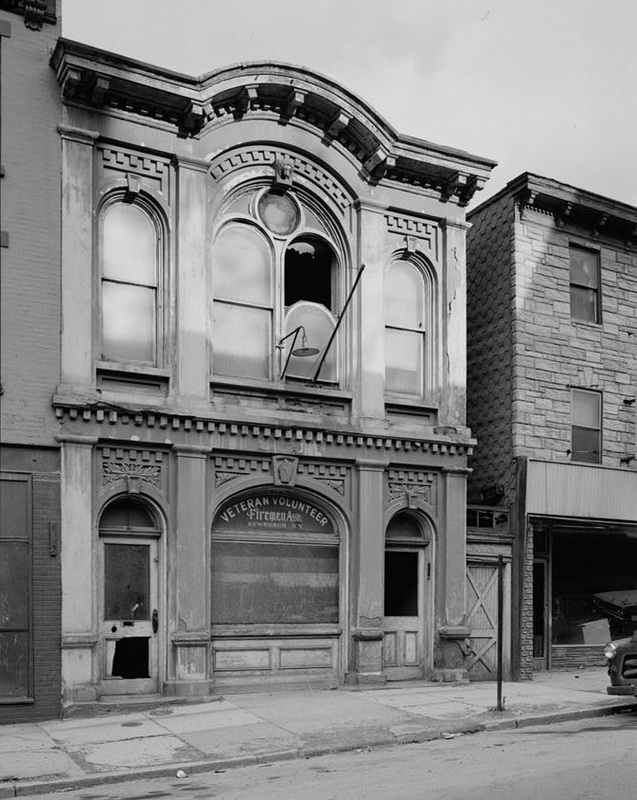 Newburgh’s innovative institutions and businesses flowered during the gilded age and that left behind a variety of preeminent public spaces. 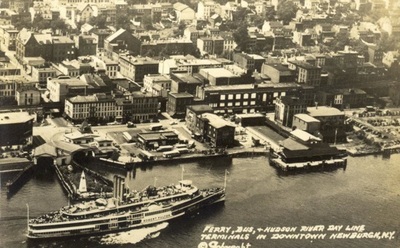 America’s first “garden city” was built here in the twentieth century and the walkable downtown areas boasted premier shopping and entertainment venues. 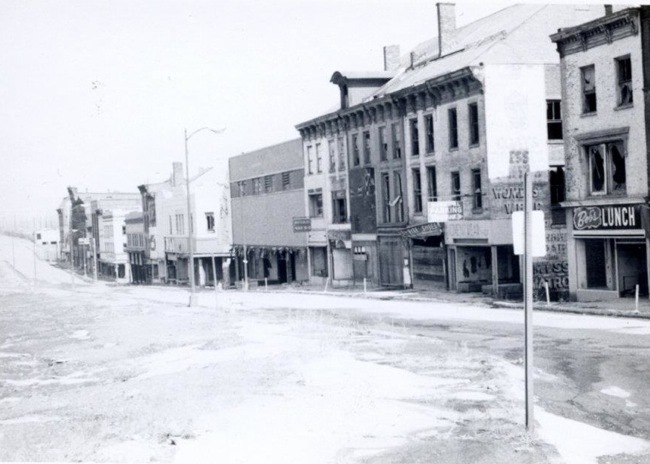 Always at the forefront of historic preservation and green-space commemoration, it is a tragic reality that Newburgh suffered severely during Urban Renewal. Between 1970 and 1973, over two- thousand structures were senselessly demolished leaving fifty acres of waterfront property vacant for decades. 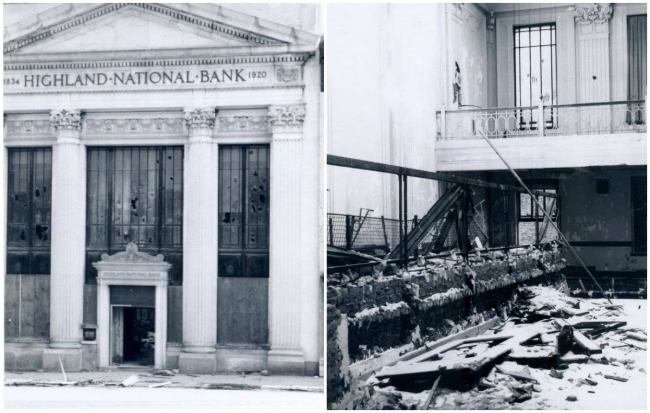 Economic crisis and political instability followed this destruction and now a group of businessmen and artists fight to reclaim the downtown and restore the City’s vibrant traditions. In spite of the lessons learned from Urban Renewal, the city government continues to ignore the city’s greatest assets. We are demanding an end to this short-sightedness — we want our city to find better solutions, to uphold architectural protections and to market these properties with accountability to the entire fabric of our community. The city has been inactive, if not extremely negligent, in regards to 159 Grand Street for many years. Now that preservationists and its citizens are planning to take action, this is how they choose to respond. No public statement, just a sign.